does anybody know if eugene is unavailabe at the moment? i ordered genie scout g edition two days ago and haven't recieved my key-file, yet. i already contacted eugene but didn't get a response. spam folder is clean, double checked. 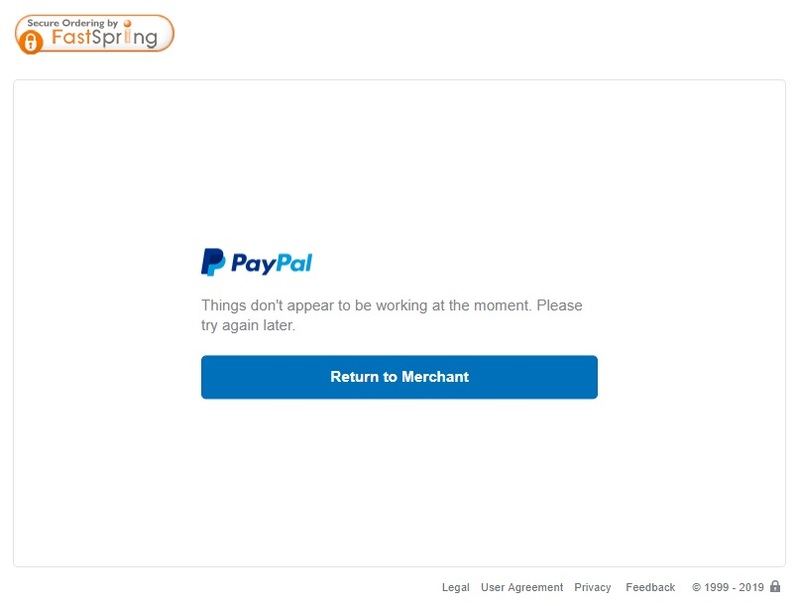 Hi, I am trying to donate over fastspring using paypal but I keep getting: "Things don't appear to be working at the moment. Please try again later." I have tried it all day long Screenshot attached. Any other way to donate via paypal? I donated but did not receive the key file and haven't news from Eugene... any idea? Have you checked spam/junk folders? If you dont get a mail in an hour send him a mail! Cant find a response but, I've got a new laptop, so no previous installation of Genie Scout, where can I find my Unique ID now?